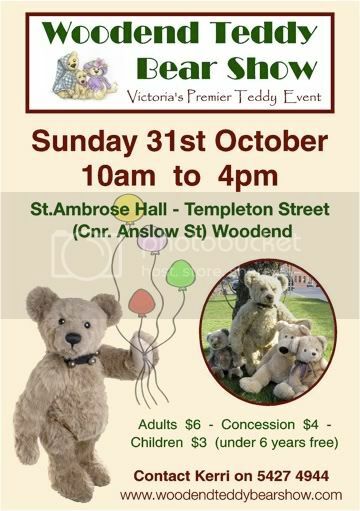 Time is flying, and there is much sewing and stuffing happening here at Chateau Teddy, and there shall continue to be until I have completed a whole new group of tiny teds to introduce to you at my table on the 31st :o) Oh DOH... I went and said the date! I better get back to stuffing those tiny colourful limbs so the bears will be looking their best when first you meet!